Below are some of the saltwater fish you might encounter on your Reel Dreams fishing adventures in Sarasota Florida. If you would like to learn more about other Saltwater fish, Click Here! 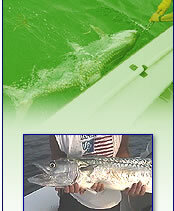 Click on a specific Florida saltwater fish for detailed information. © 2002-2005 Reel Dreams. All rights reserved.